“We treat you like our own,” was one of the first things my host mom said to me. 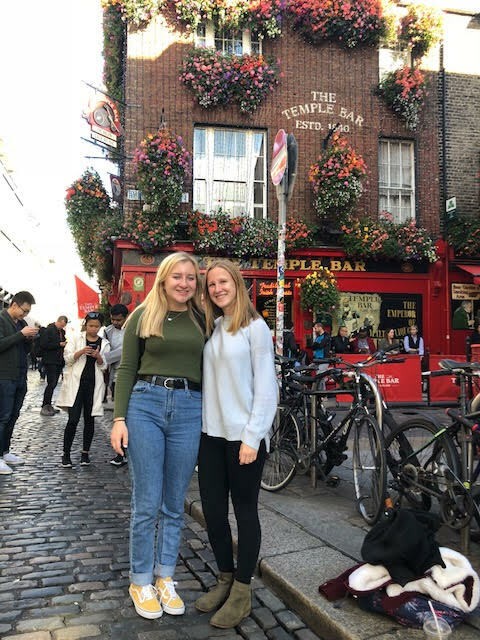 In retrospect, maybe that was the moment I should have realized that I was going to find a real home in Dublin, but standing in my host family’s kitchen on that first day here, I didn’t. Maybe it was the jet lag that prevented me from realizing the importance of those words. My host mom was making me a promise. She was telling me that this house and I think in a larger sense, this country, was home now. Even with this promise, it was not an automatic adjustment. There is still a lot to learn when you are not only trying to get used a new city, but also a new government where I would soon be working. But once you get all that sorted, something really great happens, or at least, it did for me. It is not a single moment when you realize it, but it’s more like one day you don’t have to open Google Maps to get around anymore, and you know where everything is in your home stay kitchen. You can spell and pronounce Ceann Comhairle without trouble. You know which days you get discount tickets at the movie theater. You know which pub has Guinness that tastes just a little bit better than the others. When you walk into the Dáil (Parliament here), the security guards wave hello and call you by name. You can make very specific Oscar Wilde jokes that only you and three of your friends get. Your camera roll is full of pictures of cliffs, green grass, and picturesque countrysides. And finally, you go on a trip out of the country (as one does when studying abroad) and you arrive back in Dublin, where you see the River Liffey and the O’Connell street spire. You feel a sense of calm and happiness that can only be described as the feeling of being home. I expected to have a great time when I went abroad. It was a new adventure in a new place, but what I did not expect to find is the sense of belonging that I have here now. I feel incredibly lucky to have picked this city and to have had the experiences that come along with it, but I know my time here wouldn’t have been as special as it is if I was not living in a city and a country that has welcomed me the way Ireland has. When I leave in a few weeks, it will definitely be with a heavy heart, but I know that any time I want to come back, it will always feel like home.